We knew that extensive reshoots were taking place on Warner Bros. Pictures and DC Films’ upcoming Justice League, but we didn’t know how extensive. Now Variety has posted a detailed article full of new Justice League reshoot details, including some major headaches for Superman actor Henry Cavill. RELATED: The New Justice League Comic-Con Sneak Peek is Here! Despite what the cast at this weekend’s Comic-Con festivities may have led you to believe, the reshoots on the picture — currently under the direction of Joss Whedon (The Avengers) — are massive, having gone on for several months at a cost equal to some mid-level films. While most of the set pieces staged by Zack Snyder will remain in the movie, the reshoots are all about connective tissue and character work between those set pieces. That makes sense, given that dialogue is Whedon’s forte, and big action is Snyder’s. Don’t expect to see Whedon taking credit for directing the film, either. Sources say Snyder will remain the sole credited director, while Whedon will take a lucrative screenwriting and/or producing credit, along with a handsome fee for his work. This is similar to Tony Gilroy’s role in supervising the huge reshoots on last year’s Rogue One: A Star Wars Story, for which he earned a writing credit and a reported $5 million dollar fee. As for the actors’ involvement, Heat Vision’s Borys Kit confirms their Justice League reshoot work has been “substantial.” Both Wonder Women actress Gal Gadot and Aquaman actor Jason Momoa were called in for two weeks – the later pulled off his own Aquaman solo movie in Australia for the emergency work. Other actors have done up to four weeks work, causing scheduling headaches. Gadot and Ben Affleck had no conflicting productions, but Flash actor Ezra Miller had to be pulled away from a major role reprising Credence Barebone in the Fantastic Beasts and Where to Find Them sequel. Luckily that is also a Warner Bros. production, but Superman actor Henry Cavill is in a much bigger predicament having to shuffle frantically between Justice League and shooting Paramount’s Mission: Impossible 6. 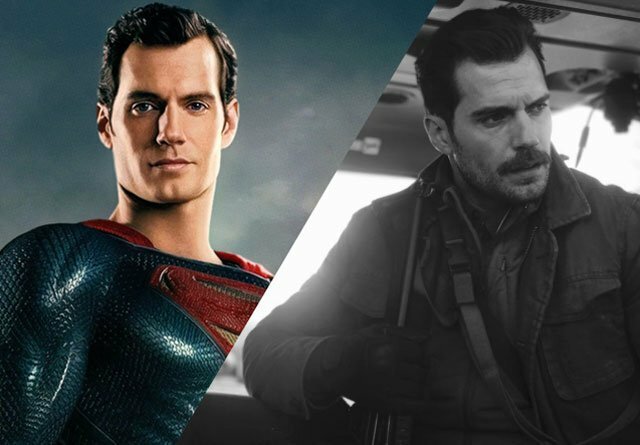 Beyond the scheduling woes is the issue of facial hair, with Paramount refusing to allow Cavill to shave his contractually-agreed-upon M:I6 mustache, which will require Warners to use digital solutions to remove the mustache in League‘s post production. This will not to be the last DC movie to undergo substantial reshoots. The studio is already building weeks of additional shooting into the schedules of future productions, so as to avoid the kind of last-minute scrambling they experienced on both League and Suicide Squad.